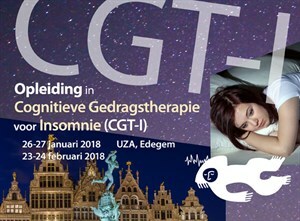 The BASS organizes regularly a four-day course on CBT-I, cognitive behavioral therapy for insomnia in Dutch for psychologists. In connection with the Update@Kempenhaege Symposium, there is a CBT-I training in Dutch on 12-13 June 2019 and 10 October 2019. 2nd ESRS Sleep Science School "Sleep & Aging"
The International Sleep Medicine Course provides comprehensive training in all aspects of sleep medicine. This course is accredited and organized by the BASS, the British Sleep Society (BSS) and the Dutch Society for Sleep-Wake Research (NSWO). The dates for ISMC 2020, organised by the BASS, are released: 27-30 April 2020. You can already save the dates! Pôle Santé and the ULB organize a course in French that leads to "Certificat d'Université en traitements cognitivo-comportementaux de l'insomnie". Go to the flyer or the website. The 'André Kahn Sleep Award' was founded in 2000 under a different name, i.e. the 'BASS Award'. This prize is a travel stipend of € 3500 awarded to the winner of the scientific contest organized during the Autumn meeting of the BASS. The 'VAPA Sleep Apnea Research award' has been created in 2011 upon initiative of the 'Vereniging Apnea Patienten', until 2017. More information about the free communications.